One of America's leading racing jockey's, Bill Harmatz won nearly 1,800 races from 1953 to 1971. His mounts won more than $10-million in purses. 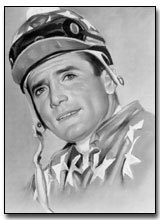 Riding legendary race horses such as Silky Sullivan and Round Table, and winning the 1959 Preakness aboard Royal Orbit, Bill won 12 races worth $100,000 or more. He rode in the Kentucky Derby four times, as well as the other legs of the Triple Crown, the Belmont Stakes and Preakness. He once rode six winners in one day at Bay Meadows. From 1959-63, Bill served as Director of the Jockey's Guild. In 1969, he was co-founder of the Jockeys' Association.